Premium Quality Sesame Seed Paste made from 100% ground, hulled Humera Sesame Seeds. The seeds are gently roasted to release their subtle nutty flavour and are then ground into a smooth, creamy paste for a rich finish. 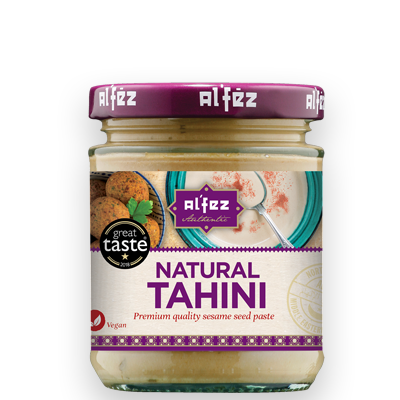 Natural Tahini has a more neutral flavour than other nut butters and a small amount goes a longer way. For allergens see ingredients in bold. Made in a factory that also handles nuts and peanuts.